There are 260 million Dalit people around the world, 166,635,700 of whom live in India. 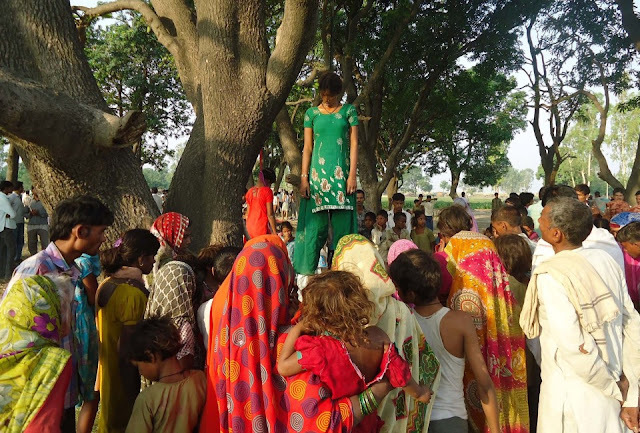 Dalit people are at the bottom of a hierarchical caste system determined by birth. Although Indian law prohibits discrimination and violence against Dalit people, in reality atrocities are a daily occurrence. 21 Dalit women raped each week. It is estimated that a crime is committed against a Dalit person every 18 minutes. The problem not the law but the lack of political will, at local and national levels, to apply these laws. In 2006, the official conviction rate for Dalit atrocity cases was just 5.3%. Social discrimination is also a major problem. Dalit people are considered ‘untouchable’; most higher caste people would not marry a Dalit, invite them into their home or share food with them. Dalit children sit separately from other children in schools. Almost 1 out of every 3 government school in rural areas prohibit children from sitting together. Dalit women experience triple discrimination based on their caste, their economic situation and their gender. Thousands of girls are forced into prostitution before they reach puberty. .